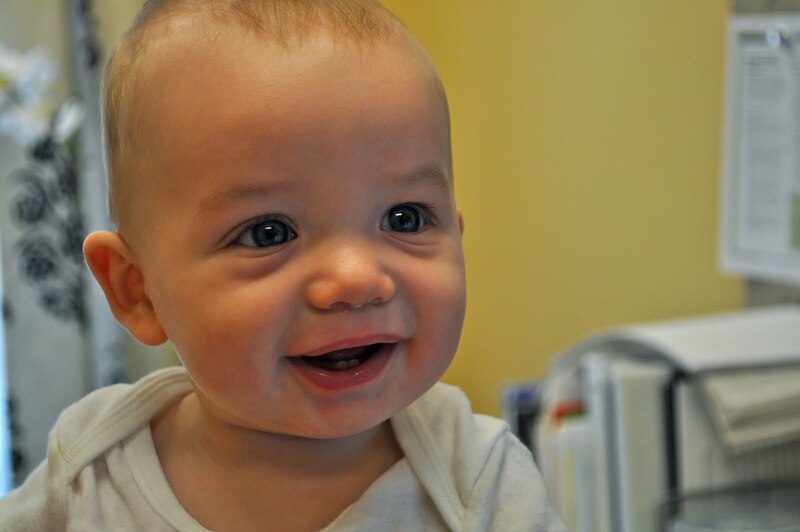 I wanted to share a sweet little picture of Tommy that was taken a couple of weeks ago when I took him to visit my coworkers. This picture truly embodies him at his best. He has the biggest smile and I think this captured it so well. I conquered a MAJOR task that had been driving me crazy for some time now. 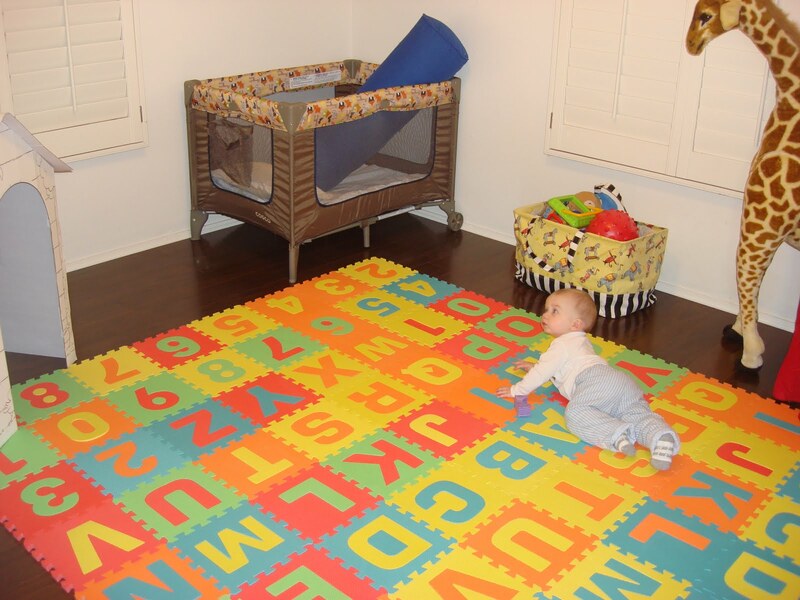 Over the new year’s break my mom, sister and I all cleaned out my former office and created a playroom for Tommy. First and foremost this is such a blessing to have a room where you can put all of his things and shut the door if you have to. 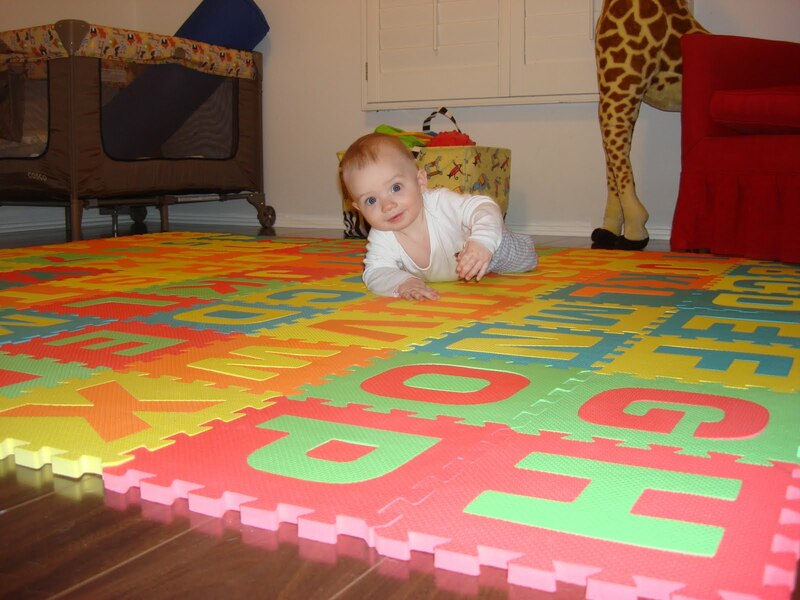 He absolutely loves the space and his new ABC mat is perfect for crawling…which is doing a lot of these days. 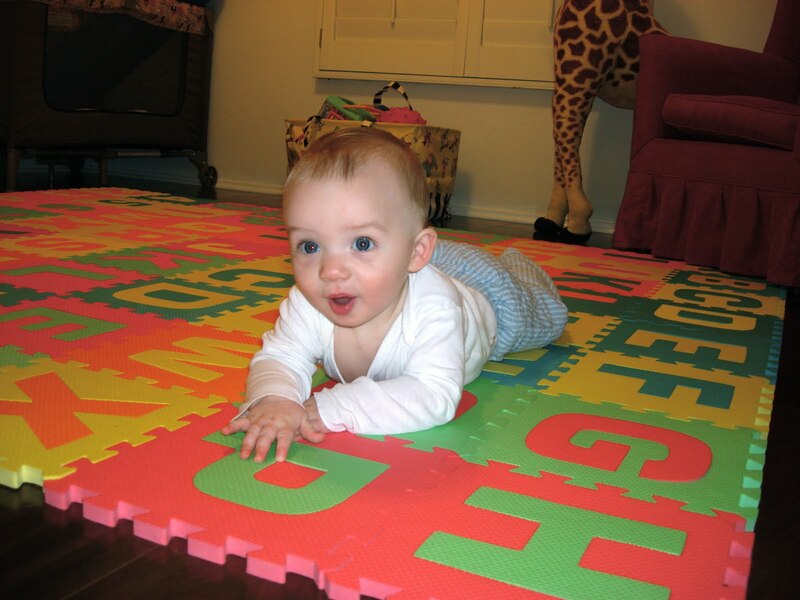 At first I had a rug down and he moved around a bit, but not as much as he is now. 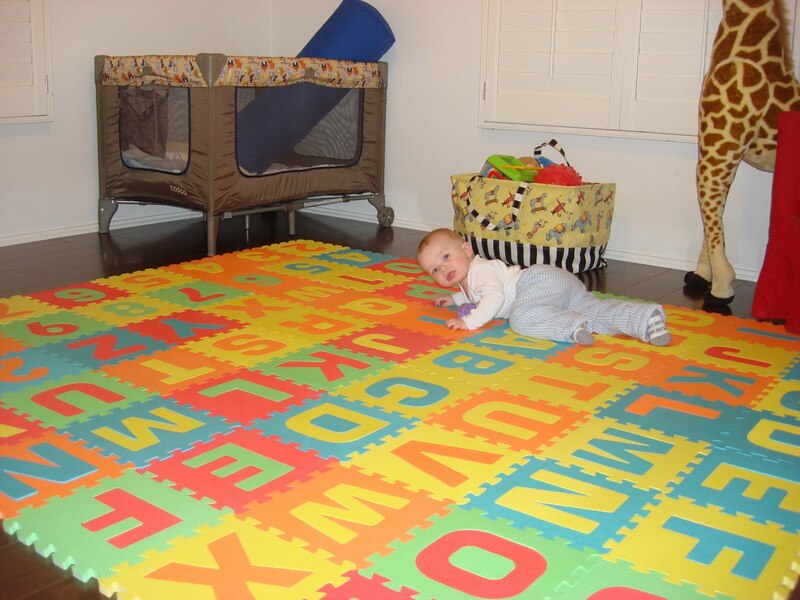 I have the pack n’ play set up in case I need to run out of the room I can put him in there to play safely. 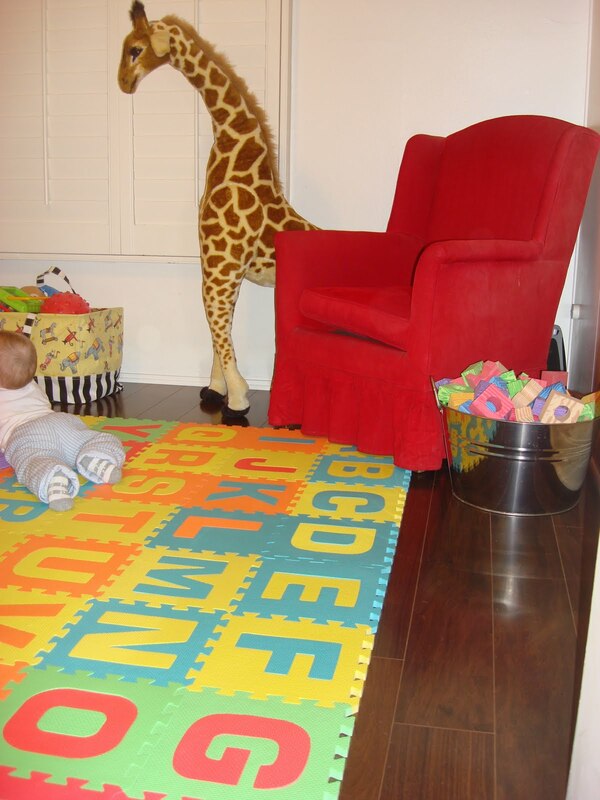 Our sweet baby sitters gave him their large giraffe as you’ll notice in the background. He doesn’t quite understand it now, but he will in the future I’m sure. All in all this was a huge project (for anyone who has stepped foot in my house prior you may remember the massive piles in this room). I am so happy it’s done and the smile on Tommy’s face is priceless.